Every week in the UK at least 12 young people die of undiagnosed heart conditions. Since its formation in 1995, Cardiac Risk in the Young (CRY) has been working to reduce the frequency of young sudden cardiac death (YSCD). CRY supports young people diagnosed with potentially life-threatening cardiac conditions and offers bereavement support to families affected by YSCD. 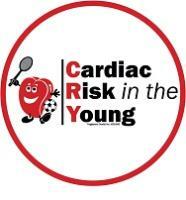 CRY promotes and develops heart screening programmes and funds medical research. CRY publishes and distributes medical information written by leading cardiologists for the general public. CRY funds fast track cardiac screening and pathology services at St George’s Hospital in London.